With support for Google Assistant and the Play Store, the Chromebook is ready to be part of the family. Google’s Pixelbook says the Chromebook Pixel isn’t dead—it’s part of the family. 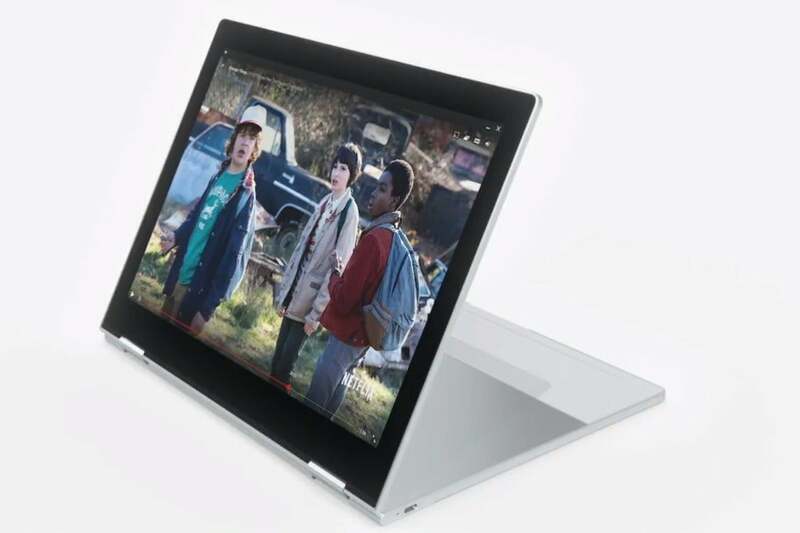 The Pixelbook, announced Wednesday at Google’s hardware event in San Francisco, is the third generation of Google’s premium Chromebook Pixel. Up to now, the laptops lived apart from Google’s other products, isolated in Chrome OS. 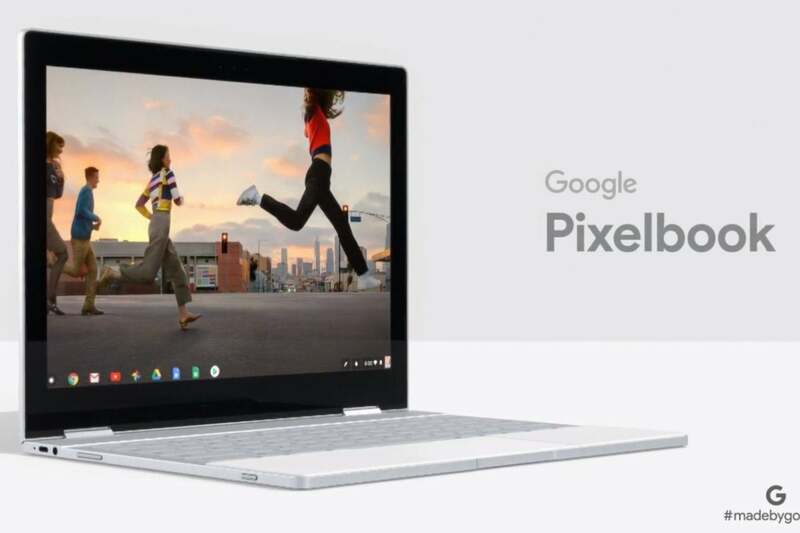 The Pixelbook is the first Chromebook that’s tied closely to major parts of Google’s ecosystem, such as Google Assistant and the Google Play Store. It shows new potential for Chromebooks, and new freedom for Google products formerly stuck on small, limited smartphones and tablets. Google’s new Pixelbook claims up to 10 hours of battery life and fast-charging for extra juice on the go. Note: This laptop isn’t available for preorder yet, but you can get on the waitlist. 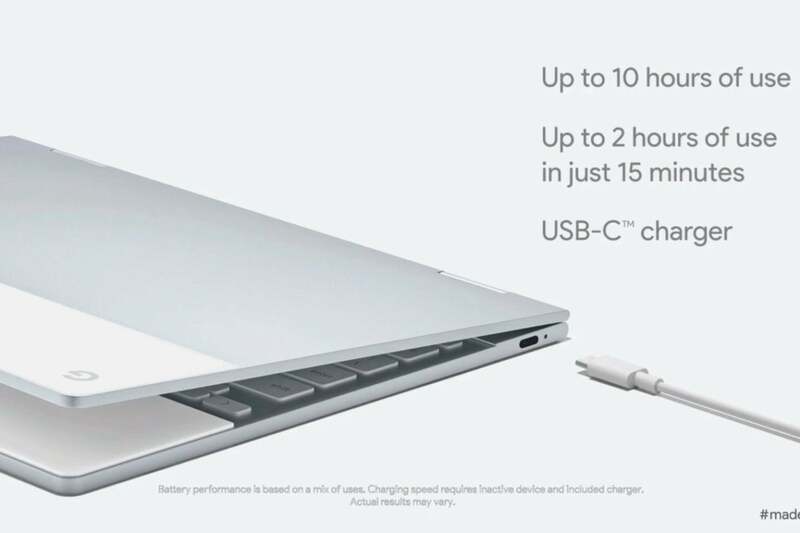 Note on battery life: Google says you can charge for 15 minutes to get up to two hours of use, but there are conditions: The battery must have at least 5 percent charge left, you must charge when the laptop is “inactive,” and you must use the included charger, not a third-party charger. The Pixelbook Pen will be a $99 option with any Pixelbook. Google worked with industry leader Wacom to develop the stylus and says it has a fast 10ms of latency, 60 degrees of angular awareness, and 2000+ levels of pressure. These are pretty good specs (though other devices have pens with 4,096 degrees of pressure, for instance), and the pen can do some interesting things like select an image onscreen and then get information about it via Google Assistant. Google’s Pixelbook has a 360-degree hinge for multiple modes of use. The Pixelbook’s new hardware is almost secondary to the new things it can do. At the Google event, Voukun showed how the Pixelbook is integrated with Google Assistant and the Google Play Store, so you can talk to the Pixelbook to get information, launch apps, or stream movies or music. It’s the first Chromebook to be so closely tied to the rest of Google’s ecosystem, and it’s a good thing to see them come together. Another neat tie-in: If you have a Pixel phone as well as a Pixelbook, the Pixelbook can automatically tether to the Pixel phone if no other internet access is available. We all know what a hassle tethering your phone is; anything Google can do to ease this is welcome. Most of the world is still waiting for Android apps on Chromebooks—it’s been rolling out slowly to a select group of devices. Many Android apps that run on Chromebooks are still trapped in smartphone-sized windows. As part of the Pixelbook demo, Voukun showed how SnapChat is working with Google to get beyond that limitation, “to create a new experience for the larger screen on Pixelbook.” Voukun promised that many more developers were building for Chromebook-sized screens, but we’re still waiting to see how that goes. The Pixelbook is an exciting new step for Chromebooks. Google introduced its first premium Chromebook Pixel in 2013 to honest surprise. Chromebooks, up to then, had been extremely inexpensive, low-end machines, and Chrome OS could do little more than browse the web. The Internet has grown up since then: Web applications have become business-class products (including Google Docs, which evolved into G Suite), and more people live almost exclusively online both at work and at home. The Chromebook Pixel’s second generation refreshed the hardware, but the real changes were in software, as Google worked to bring Android apps to Chromebooks—a work still in progress. But the ecosystem tie-ins look more fully baked, and they could immediately launch the Pixelbook—and, we hope, other Chromebooks—into a busier, better future.